Every now and then, we all receive a voicemail which we'd love to save and listen to again and again. Perhaps this is a nice message from a loved one, or a funny voicemail you wish to share with your friends, or even for legal purposes. 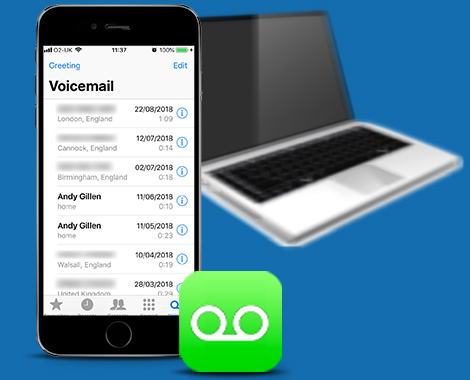 Whatever your reasons are, TouchCopy can help you save your iPhone voicemails to your computer. You can view all your iPhone voice mail messages by clicking the "Voice Mail" button in TouchCopy. Backing up your iPhone voice mails is as simple as selecting the contact whose message you wish to save and clicking on the "Copy" button within TouchCopy, making sure that those memorable messages will never be lost. The software will save your voice mails on your PC or Mac in their original .amr format, for playback on your computer. 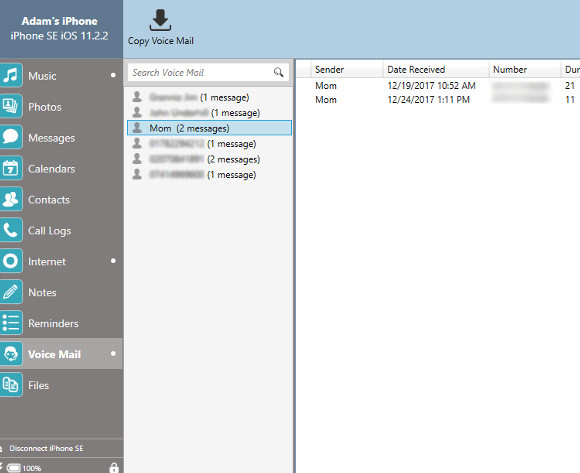 The TouchCopy user guide provides more details on how to save iPhone voice mail messages, as well as backup iPhone SMS.